Barbados may be short of on land wildlife, but it certainly isn’t short of breath taking marine life. From turtles to sharks, flying fish to dolphins, Barbados really is a dream for the water babies among us. 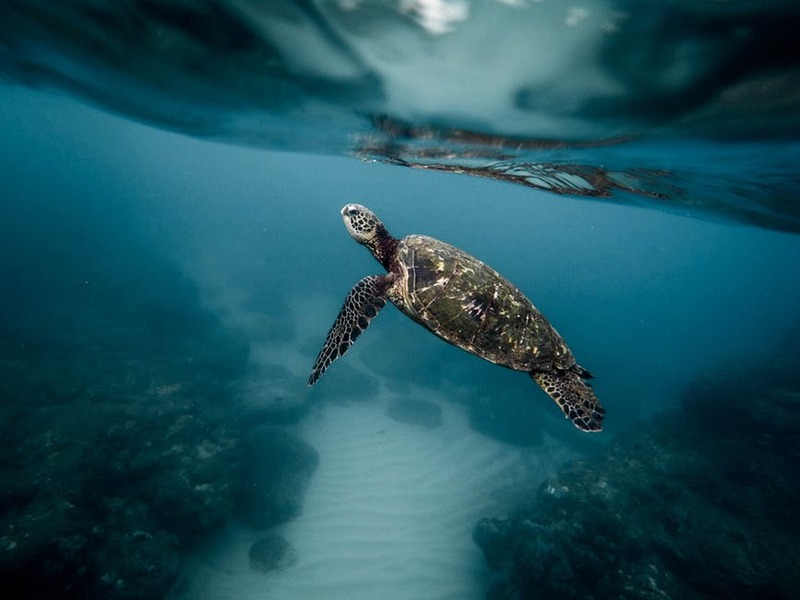 In this article, we will take a closer look at a few of our personal favourite ocean inhabitants here at Island Spirit. This beauty is one of the main reasons Barbados is such a popular diving destination. Sometimes called the lute turtle, the leatherback is the largest of all living turtles and is the fourth heaviest reptile behind crocodiles! It gets its name from its lack of traditional shell, and in its place is a kind of oily skin that gives it a leather look. This means the leatherback is the most hydrodynamic of all his turtle friends which makes for a great speed advantage in the beautiful Bajan waters. This impressive creature also has the largest of flippers comparative to that of its closest relatives, and they can grow up to almost 3 metres! The leatherback is a grey and black turtle, with splattering’s of white. He doesn’t have teeth as such, instead backward spines on its lips to help it capture its prey – ingenious. Leatherbacks are currently critically endangered due to human harvesting them for meat and eggs. The last century has seen their numbers plummet as a result of human exploitation, which isn’t helped by the inability to quickly recover their population with only 1 in 1000 young making it to adulthood. These lovelies cannot reproduce until the age of 25 either meaning it is all a very slow process. Development is an issue too as nesting areas are disrupted. There are a number of great conservation projects underway to help protect them, as they help control the numbers of jellyfish and keep the ecosystems ticking over. As the name suggests these fellers can often be found swimming around the many coral reefs in Barbados. As the top of the food chain they are an important indicator species to ascertain the health of reef ecosystems. They are currently a World Wildlife Foundation (WWF) priority species which is great news. These sharks mainly feed on reef fish, crabs, lobster and shrimp and are not a threat to humans. They grow to about 1.6 metres in length and similar to the leatherback turtle have slow reproduction rates which means they are even more vulnerable. Sadly, they are often caught in by catch when unsustainable fishing methods are used. The reef shark is a streamlined animal, and to an unknowing eye it can be confused with several other species of shark. A good tip is to look for the extra rear tip that they have on their second dorsal fin – then you know it’s a reefy! 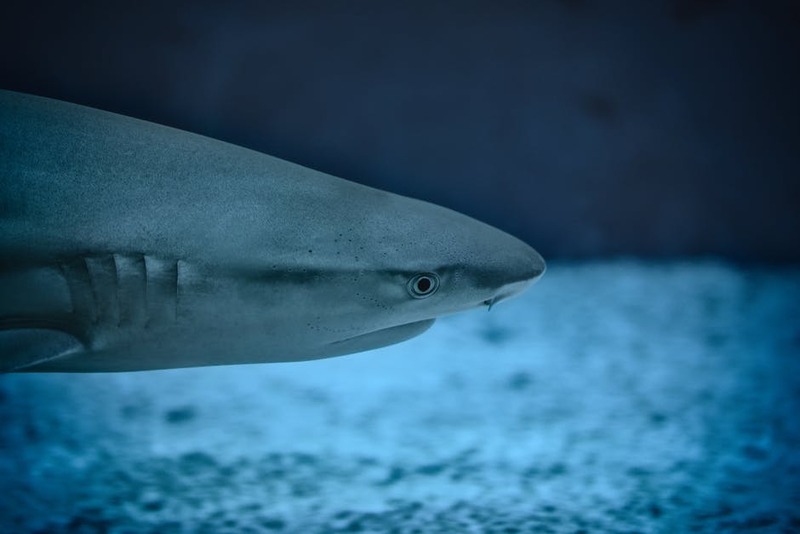 It has a white yellowish hue and has big beautiful eyes, and a rather rounded nose comparative to other sharks. Sadly, these sharks are actively fished, and some tour operators feed the sharks to lead fisherman to their location – so be wary who you tour with. There are many beautiful dolphins in the Atlantic surrounding Barbados. The striped dolphin however is one of our favourites due to its playful nature and stunning appearance. It is similar in size and shape to many other dolphins but its colouring is very much distinctive. It has a blue, pink or white underside and two black circles around the eyes that run down to the flipper (hence the name), and two further stripes from each ear one short and one that goes all the way to the tail. The main body of the striped dolphin is a light bluey grey. They grow to around 2.6 metres long and reach breeding age at 12 years old. 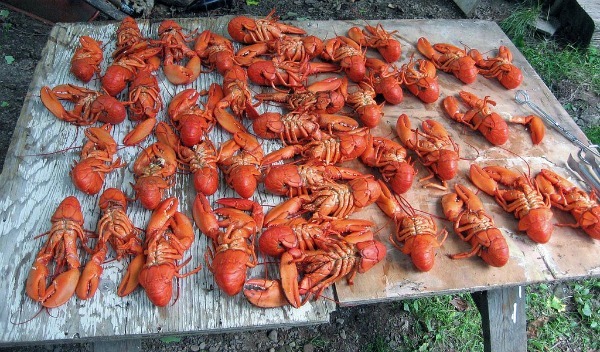 They move in pods of thousands and often mix in with their relatives. The population in the Mediterranean are under threat due to busy shipping lanes and the resultant pollution and habitat destruction. They are also sadly targeted by hunters. Comparatively the Atlantic population is reasonably healthy. They feed on fish and can dive up to 700 metres to find their meal. These fish are common in most tropical waters. They are shaped a bit like a herring and can grow up to an impressive 25cm long. They glide through the air for up to 40 metres and they do this by swimming up to the surface at speeds close to 55km per hour. Once in the air this impressive fish spreads its fins (no they don’t have wings) and thus appears to be flying. They have evolved this way as a nifty way to escape any looming predators. Barbados is famed for this particular fish, and is sometimes known as the ‘land of the flying fish’, unfortunately this means it also forms part of the national dish ‘cou cou and flying fish’. Interestingly it is also featured on the one dollar coin of Barbados. There are around 60 separate species of the flying fish. Just like the reef shark and the leatherback turtle, they too have problems when it comes to breeding. Bear with us here. They have this creepy name due to their robust nature and ability to survive the hot white sandy beaches and changing tides of Barbados. It is a kind of crab,sometimes known as a sand crab, and it is awesome. They have camouflaged bodies to blend in with the environment to avoid predators, and they dig into the sand to hide and nest. They use their antennas to capture phytoplankton for nourishment. It is a great way to pass the time looking out for these little critters, you can spot them through small bubbles breaking the surface of the sand as waves crash in and recede. This is why they make it on to the list! 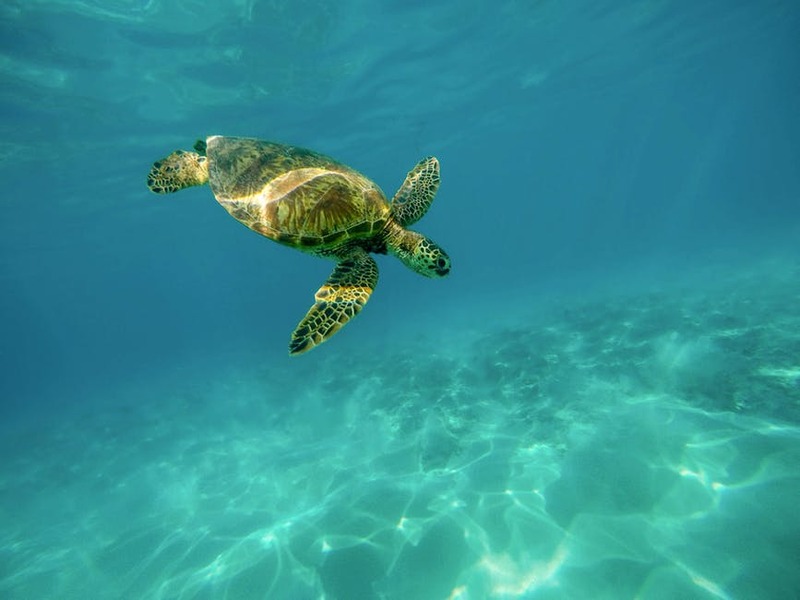 So there you have it, some of our favourite marine creatures, we look forward to welcoming you to Barbados so you can discover these and some of your own. To view our Barbados ethical and green adventure, Click Here!